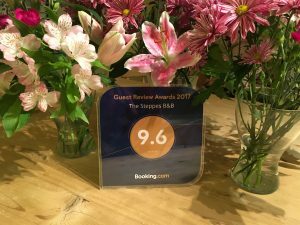 Wow, another fantastic award from our Booking.com guests. Thank you so much for taking the time to review us and also hope you continue to enjoy a first class experience when you visit The Steppes B&B. Thank you again, we really appreciate your good words.